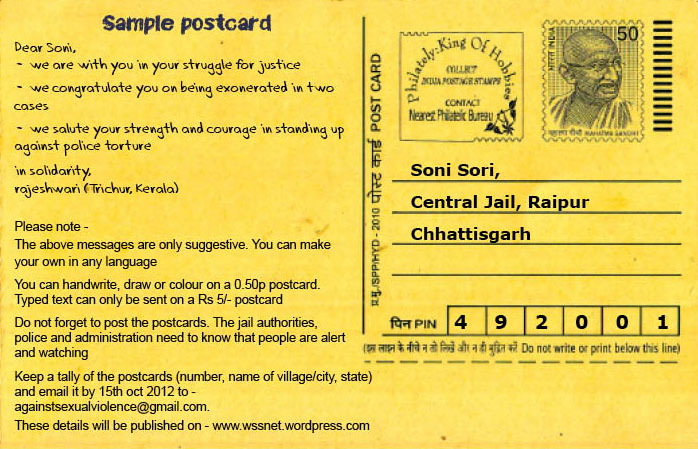 On the occasion of the birth centenary of Shaheed Bhagat Singh, a post card campaign has been launched for people to express their solidarity with Soni Sori and her struggle for justice. WSS calls upon everyone to join in this campaign. Post cards were signed in Delhi, Bhopal and Indore today to launch the campaign. 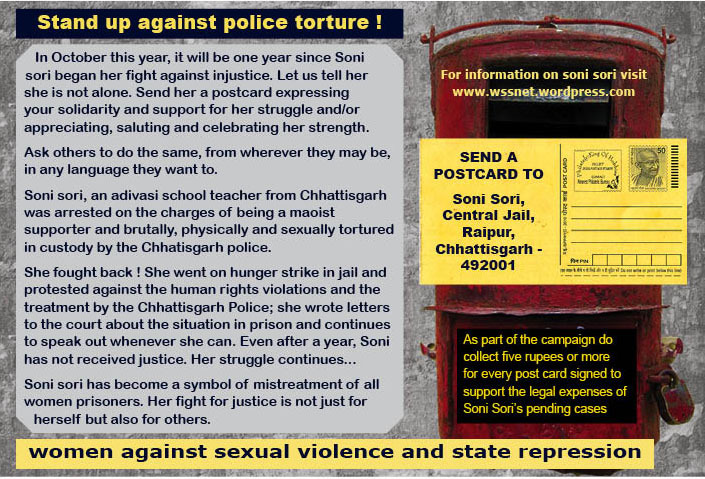 Women Against Sexual Violence and State Repression (WSS) has launched a solidarity campaign for Soni Sori incarcerated in Raipur jail for the past one year under false charges of being a Maoist engaged in extortion and violence. Most recently, on the evening of 25th August, 2012, 250 people affected by the Omkareswar dam entered the water and began their landmark protest – the jal satyagraha. Below is a video of the protesters followed by a press release by the Narmada Bachao Andolan (NBA).